Look: My little old Behringer Eurorack MX1604A mixing console has four insert jacks now, just what you need for a four-channel compressor. After a day spent with sick kids, a little soldering and drilling felt just right. I have been shopping on eBay. Looking for a reverb to go with my rediscovered Oberheim Matrix synth, I acquired a rack containing a Lexicon MX, and a four-channel compressor. Lucky me. This is when I noted that my mixer has no inserts. Well, I fixed it. Took me about 3 hours. You need: 4 6.3mm stereo jacks, shielded 3-wire cables, soldering iron and being prepared to use it, a 12mm steel drill. 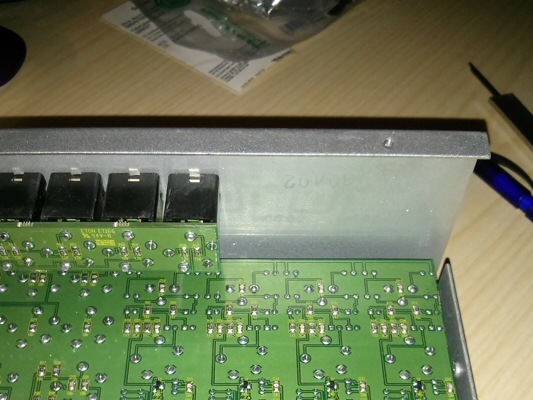 The insert jacks sitting before the unmodified mixer console. The opened housing. There is enough space on the back plate for connectors, about 40x60mm. Unfortunately, that is not quite enough to fit a row of four with the type of jacks I used. Okay, marked the way out (and back in). But where do we connect it? 3 Is this how they do it? Use shielded cable; I cut up an old USB connection. 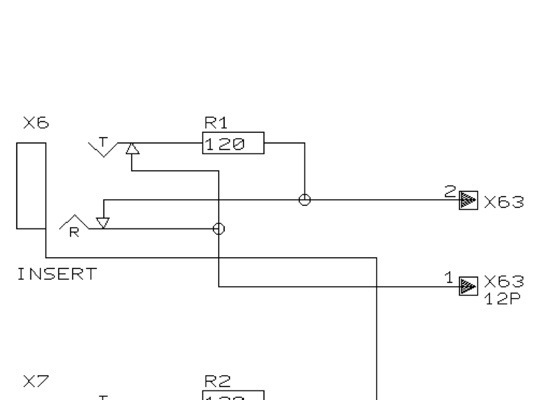 The cable shield is connected only at the PCB end. I’ve added a bit of shrink sleeve to isolate the shield against short circuits. In this picture you can see why this is necessary; I had to reopen the mixer to fix Channel 1. The holes for the jacks were easily drilled . Where do I cut? 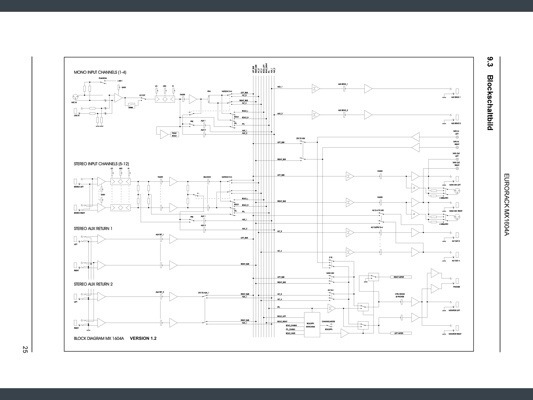 Having a look at the block diagram, I decided to cut right after the 3-way EQ. 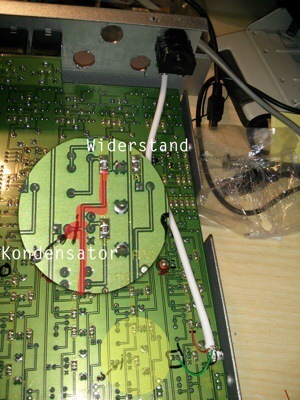 Look at the point marked by the little black arrow – this is a capacitor (“Kondensator”) in the signal path pre-fader. 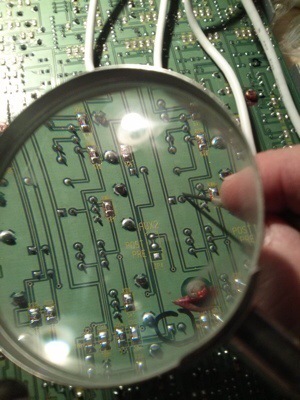 The left soldering point is connected to the PRE jumper mentioned above, the right terminal – before the capacitor – is my insertion point. 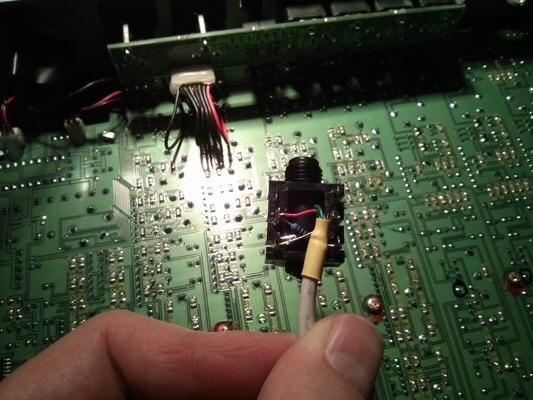 It is connected to a couple of SMD resistors – marked red in the photo – and we are going to cut the connection to the capacitor, solder the Return Signal to it (green wire), and solder the red Send Signal wire to the resistor (“Widerstand”) to the right just above. 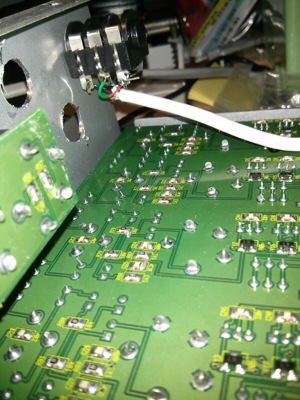 Cutting up the signal path now, soldering the red Send Signal wire to the right capacitor terminal next. Cut up the PCB line. Solder in the wires to the jacks. Repeat. Test. Be happy. Is this how they do it? 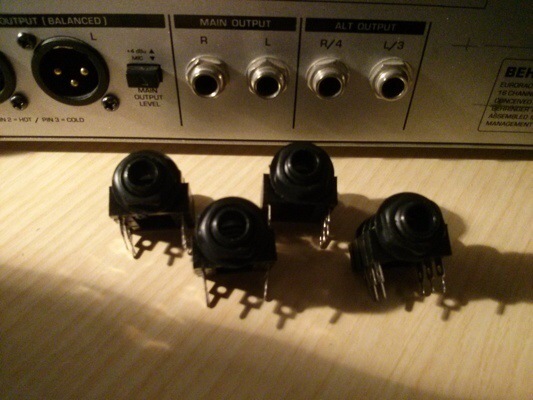 I’ve tested the modification, using my Korg R3 synth in vocoder mode as an insert effect. It works, although return levels are low. Please remember that this solution is just a lazy geek’s solution after a very long day. It might have looked different if I had more knowledge of the mixer’s circuits (or, more generally speaking, of analog audio circuitry). 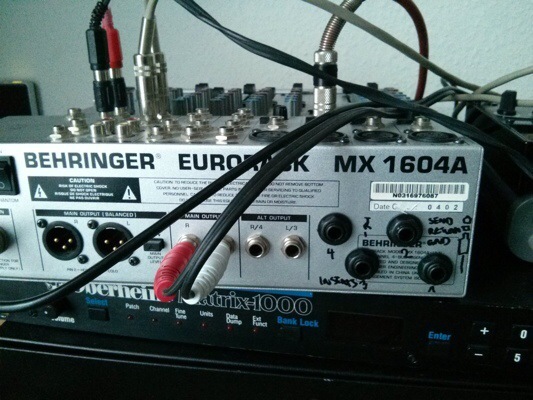 If you have inside knowledge of Behringer mixers, you will have a dozen better ideas about how to do this. Please let me know. 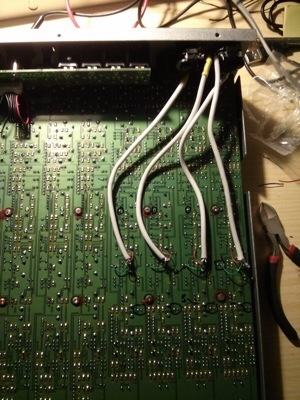 This entry was posted in Maschinelles, Musik, Retro Modding and tagged Behringer MX 1604A, Inserts, Modding, Retrofitting, Schematics by untergeek. Bookmark the permalink. Early digital immigrant. Father. Maker. Tinkerer. Serendipist. Journalist. Synth nerd. Nice work, this is the only good information I could locate from the internet. I plan on doing this type mod for a fostex x 26 four track cassette recorder. But I’m planning to use RCA with a separate send/return after the 2 pre amp sections, so I have the choice of bypassing the pre amps to use other pre amps. I’m just not sure how I’m going to split the signal and where to split the signal. Von neuen Kommentaren in dieser Spalte per Mail erfahren?